When the Home Affordable Refinance Program (HARP) released updated guidelines, titled HARP 2.0, HUD removed the formerly enforced HARP loan-to-value (LTV) restrictions that had prevented underwater borrowers from acquiring lower interest rates. As a result, some borrowers can refinance through the HARP program without having to order a home appraisal. There are several things to consider when choosing this option. Fannie Mae and Freddie Mac each use automated valuation models (AVM) that perform online estimates of property values; this virtually eliminates the need for home appraisals for those who satisfy HARP requirements. Once the borrower completes the application for a HARP refinance, Fannie Mae and Freddie Mac assess the loan with automated underwriting systems (AUS) which then determine whether the estimated property value is satisfactory and if the HARP appraisal can be waived. 1 unit properties for Fannie Mae DU Plus. 1-2 unit properties for Freddie Mac Relief Mortgage – Open Access. Homes with LTV ratios exceeding 80%. Detached or attached properties such as condominiums and townhouses. Although these appraisal waivers can be exceptionally advantageous for those who qualify, HARP includes limitations which prevent some borrowers from using them. Since the estimate system is computer automated, borrowers will not be able to dispute the value of the home or update the home value by recent home improvements. 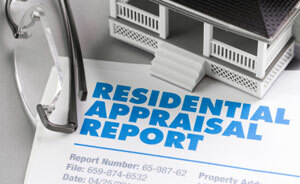 Borrowers who do not agree with the determined property value must seek a traditional non-HARP appraisal. Additionally, some properties may not be able to be evaluated due to insufficient data. If Fannie Mae and Freddie Mac cannot determine the value of the property, borrowers must obtain a standard appraisal. When applying for a refinance, borrowers will not receive a HARP appraisal waiver until after the loan application has been completed and the mortgage has been submitted through Fannie or Freddie’s automated underwriting system. For borrowers who have an existing second mortgage or home equity line of credit, regardless of a HARP appraisal waiver, the second mortgage holder may still mandate an appraisal. Despite HARP regulations, lenders and banks will impose their guidelines when issuing a refinance loan and this may include loan-to-value restrictions, regardless of HARP 2.0’s removal of such requirements. HARP 2.0 refinances only apply to mortgages acquired by Fannie Mae or Freddie Mac. To find out whether your mortgage is eligible, visit the Fannie Mae or Freddie Mac websites.